2015's Nexus line-up was catered to by LG and Huawei with the impressive Nexus 5X and Nexus 6P respectively. Google's decision to employ two manufacturing partners seemed to pay dividends, though according to reports, the Big G has penned a three-year deal with HTC to produce the next few batches. The Taiwanese firm has already unveiled its impressive-looking flagship smartphone for the year, and according to perpetual leakster Evan Blass, the company is working on a couple of new devices for Google that could be unveiled later this year. Internally, the devices are being dubbed the M1 and the S1, though these monikers are unlikely to be carried over to the devices themselves. It's possible, if not necessarily certain, that the M1 and S1 are both smartphones akin to the Nexus 5X and 6P. Then again, it may also be the case that HTC has been commissioned to create a smartphone and a tablet. The folks at Android Police believe that M1 stands for codename 'Marlin', while S1 is 'Sailfish'—not that Sailfish—and seem relatively confident of this. Unfortunately, details are fairly scarce for now, so we'll have to wait and see what kinds of specs and designs are in store from this pair of HTC creations. HTC has struggled in the smartphone arena over the past couple of years, but appears to have made up some ground with the HTC 10. Thus, the prospect of one or two HTC-built Nexus handsets is rather more appealing than it might have been . 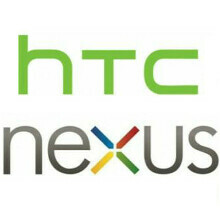 Do you think HTC is up to carrying the flag for the Nexus line? Let us know in the comments. Please make the smaller version high-end specs. 5.7" or Note 6 here I come....Nexus 5, and 6O.G about to do a drop and roll....roll. 5.2" for me. LG G2 size. Here's hoping HTC can reverse their decline, or at least stem the bleeding. Nexus devices have never been high selling devices but this may at least help with the perception/awareness of the company. Well, if the HTC 10 didn't sell well then it is not HTC's fault, many smartphone users are still blindly worshipping Apple and Samsung. You clearly miss my point, the problem is, not everyone is like us, the vast majorities are not even remotely knowledgeable in tech. Agreed. There may be many preferring GS7/Edge over HTC 10 but vast majority of people only care about Samsung and Apple. They don't know and care about HTC 10. It definitely is better suited for many people but because of the lack of brand name and fame Samsung has, most won't buy it. But I hope this phone becomes a success by HTC standard atleast. HTC need to earn that kind of brand recognition, it doesn't come overnight and requires them to consistently release good phones with features that people want. Does the the HTC 10 have water resistance? wireless charging? curved display? AMOLED display? VR support? No is the simple answer so why would any average user in a phone shop choose this over a device from Samsung? It doesn't help that HTC price their products the same as Samsung's. I like the HTC 10 but it's overpriced and doesn't offer anything over the Galaxy S7. Their previous products could rely on build quality to set them apart but that's not an option anymore, they need something else and right now I don't know what that is. If they're not selling IT IS their fault. They came very late to the market after S7 and G5. And HTC's track record with camera was pretty bad so people weren't exactly waiting for HTC to release a phone. To release a phone right after a Samsung or Apple flagship is not a wise decision. Even Samsung decided to release Note5 before Apple as they knew Apple was coming out with 6s+. HTC doesn't have marketing budget of Samsung so I wouldn't be surprised if many people haven't even heard about HTC's release. Their phone doesn't stand out from crowd as well. Samsung has S7 edge with curved display G5 has its modular design. Even iPhone has force touch. Whereas HTC has no such functionality. Thinking same. Im not fond of the HTC 10 personally. I like two front facing speakers and I dont like the home button. Those two things are deal breakers for me aside from the design. Id rather get a note if I wanted that. If you remember stock Android has on screen menu buttons. I doubt that HTC will be allowed to keep physical buttons on a Nexus phone. And without a physical home button, I believe that the fingerprint scanner will have to be moved elsewhere. So don't worry. I suspect the 3 year agreement is about more than just nexus phones. Google has been rumoured to be developing their own VR for android and HTC with their Vive experience would be a great partner.. Awesome! Expect very good things from the Nexus, considering the HTC 10 is aces. Huawei should have gotten the next installment. They killed it with the 6p. Same. But, price is key. I miss the good old days when Nexus phones were more affordable yet still high end. If rumor is true the OnePlus 3 is going to have 6gb ram and priced around $385. That is hopefully true, and can hopefully rival the original OnePlus One as the OnePlus 2 was a failure. Its about time Google went back to the OEM that built their first Android phone and Nexus phone. I dont like their phones but still....its long overdue for HTC. I'm for it HTC has something going. They just really need to make a phone 5.7" and 5.2" respectively. After having a Note 4 for 2 years anything small just seems like a wasted of money. We all use our phone to watch YouTube videos, Netflix etc. I think all phones should have front facing speakers, expandable storage and USB type C going forward. Of course a good finger print reader. Iris scanner seems crazy, I'm not sure I'm ready for that quite yet, though I welcome the addition of new technology in any form. We will have to wait and see. The note 6 does look good though, however I'm growing tire of Touchwiz and ready to give another manufacturer and shot, and HTC doesn't lock boot loaders either. Heck I think all these dam phones should be made with all the radios that support all 4 major carriers, this is getting annoying when you want to switch you may have to switch your dam phone, unless you get a Nexus device. I like the Nexus but they typically have good specs though they are slightly watered down!! Ahh progress!! HTC might produce the best nexuses. Let's hope for it ! There is much MUCHHH more than met the eye with the THREE year deal. Devil is in the details, which will come out soon. BRING it on HTC,and watch your back (and front) when dealing with Google.